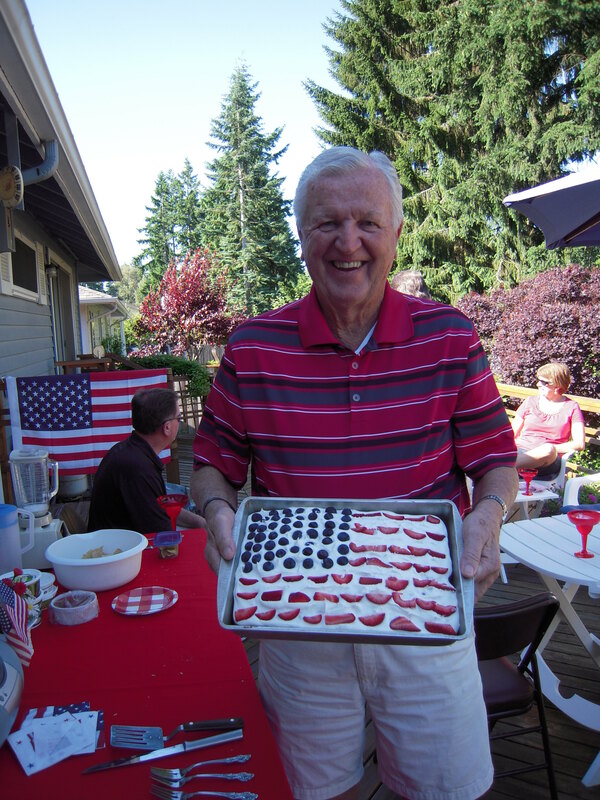 There’s something fabulous afoot when your 79 year old father PLANS a Fourth Of July Party. It is highly possible this is the FIRST party he has ever planned because MOM has always been the master party planner in the family. DAD invited the kids (that would be my generation…far from ‘kid’ age) AND grandkids. FLAG napkins, red plastic MARGARITA glasses, and other assorted party decor. 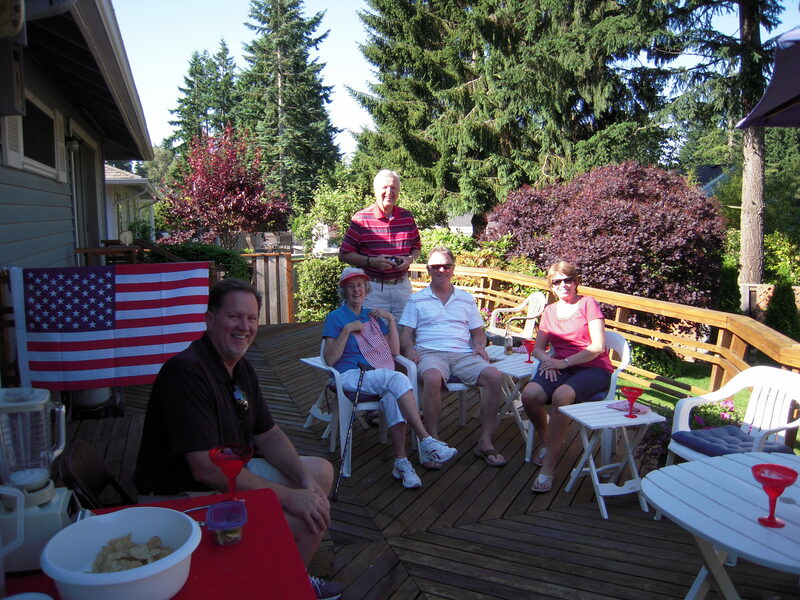 He set-up the BLENDER on the outdoor table, WHIPPED up margaritas in professional style, turned up the PATRIOTIC tunes playing on his boombox and served those delicious libations to a very PLEASED group of middle-aged ‘kids’. Shortly thereafter, he DISAPPEARED for 20 minutes for a quick trip to Taco Bell to pick up a travel pack of tacos and VOILA…dinner was served. This 4th of July I was THANKFUL for my party planning Dad. May we all find ways to CELEBRATE our lives, families and blessings….no matter what AGE we are! For a man who loved cars, Jack spent nearly his entire life buying and selling his favorite models as well as owning a multitude of businesses. Jack always felt he was a a very lucky man. 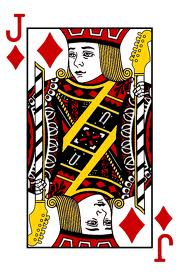 In his younger years, friends used to refer to him as “Diamond” Jack. The luck for which he was thankful, however, had nothing to do with the multitude of cars and business deals; rather, it had to do with the LOVE of his life, Maureen. Together they raised 3 beautiful daughters. Those four special women were the DIAMONDS in Jack’s life. Over a 50 years ago, when my parents became engaged, my dad took mom to Lewiston, Idaho (his hometown) to meet his sister and brother-in-law, Jack. 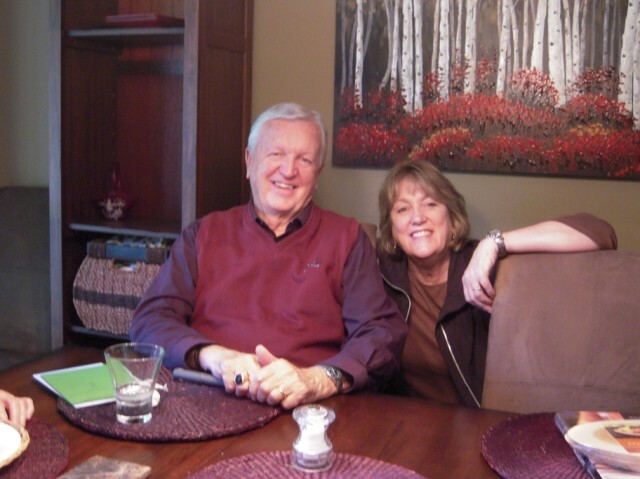 One of Mom’s favorite memories of that meeting was as private moment when Jack pulled her aside, smiled and said, “Joanie, you are marrying into a wonderful family”. Jack was full of humor, loyal to family and friends, always full of new ideas, and once tried to lure my parents (who lived in another town) to give up their professions and move to Lewiston to open a sporting goods store. THAT, in his opinion,would not only provide income, add a valuable new store to the town….but would also keep the family in close proximity. He was the only one who could get away with calling my grandmother, Ruth…..Ruthie. That favorite nickname made its way down the family tree to his granddaughter. My memories of my uncle include his big smile, his interest in us as we grew through the years and the wonderful relationship he and my aunt had with my parents. Those four were a very close group and their laughter, stories and camaraderie were witnessed by all five of us cousins. He had a strong faith, took care of his mother financially throughout her life and provided a wonderful life for his family. Jack was part of an era that watched what they said in front of kids. 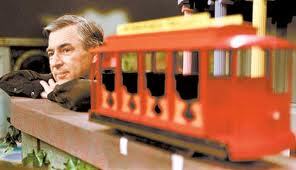 I think the only time I heard him swear was at the tail end of a trip they took to visit us. Shari was in high school. In an attempt to load all of the girls’ suitcases into the trunk of his car (which was a herculean feat….,trust me. They did not travel light). Shari forgot to bring her suitcase out to the car until the very last-minute. At that point he had been outside for about 20 minutes trying to fit everything into the trunk; there was barely enough room left for air. When she walked out with her humongous suitcase and told him he needed to add it, he nearly croaked. He looked at her with great exasperation and said “Dammit Shari, why didn’t you bring this out when I asked you to?” We knew Jack had to be pretty frustrated to say that. For the rest of the morning we renamed Shari,…… calling her ‘Dammit’. 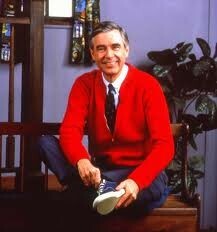 It’s funny how our childhood memories are often the fondest, and for me Jack was huge part of those memories. I’m so thankful we got spend our summers at his home running through sprinklers, having cool-pops for an afternoon treat, riding in the jeep to go to swimming lessons, hitting golf balls and playing in the field across from his house, watching our grandparents and parents visit with each other on the back patio while we kids played, watching the thunderstorms that came through on those hot summer nights, going to the Clarkston A&W in the evenings for a frosty mug of root beer…..and my aunt Rene bringing ice cubes because they wanted theirs ‘extra’ cold, ….going for drives at night and listening to Uncle Jack talk about the town. As kids, we did a lot of playing, but we also did a lot of WATCHING as the adults in our lives demonstrated what ‘family’ is all about. My uncle Jack was a big part of that experience. I love him and will miss him. I know in my heart that as Jack’s spirit crossed into heaven, my Aunt Rene was there to greet him. They have likely begun their next adventure together…..and I bet it includes a new car. 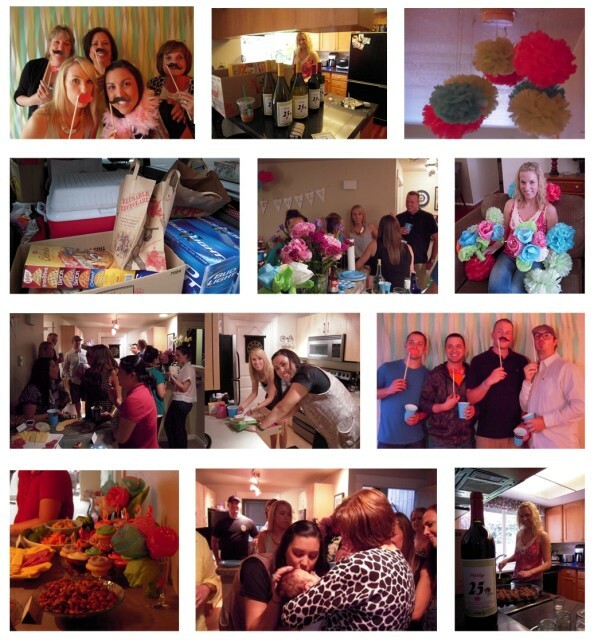 Last weekend’s 25th surprise party for my daughter’s soon-to-be maid of honor was a combination of high level covert activity and secret meetings in a house filled with smells of meatballs in spicy BBQ sauce, and roasted thyme nuts. Tissue paper poms spread across the spare bedroom, photo booth props (mustaches, bow ties, lips and glasses), customized wine labels and all sorts of party picks, paper flowers and party ‘stuff’ took over the house. 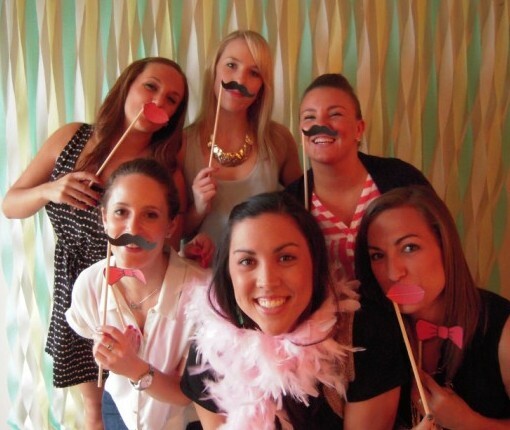 I played the role of ‘partner in crime’ as we scoured the local craft stores to make her party ideas come to life. On the day of the party, the party flair was loaded into my SUV and transported to Lonnie and Molly’s condo where friends showed up to decorate and lay in wait for the birthday girl. 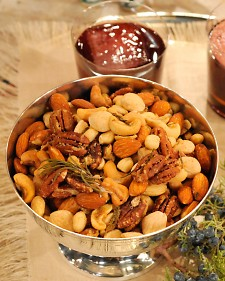 Place nuts on a rimmed baking sheet and toast until brown and fragrant, 15 to 20 minutes. Meanwhile, heat butter in a small saucepan over medium-high heat until melted. 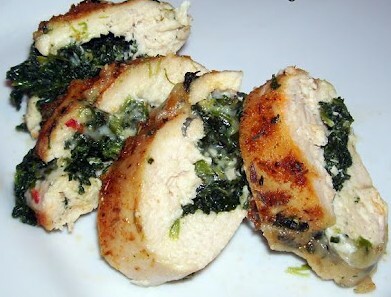 Continue cooking until butter becomes fragrant and golden brown, taking care not to burn. Remove from heat and set aside. In a large bowl, mix together sugar, salt, black pepper, cayenne pepper, thyme, and rosemary; mix in brown butter. Add nuts and toss to combine. Return nuts to baking sheet and transfer to oven. Bake until nuts are semidry, about 10 minutes. Remove from oven and let cool completely. Gotta love 3 weeks filled with secrets followed by a “SURPRISE!” finale! Happy Birthday Molly! Val Kilmer played the INFAMOUS Doc Holiday in one of my husband’s favorite movies, TOMBSTONE. Doc was irreverent, ATTRACTED trouble, suffered from tuberculosis, was a notorious gunslinger and was an unlikely supporter of his LAWMAN friend, Wyatt Earp. My husband, an old west buff, has NO tattoos….. but IF he were EVER to get one, I would NOT be surprised to see Doc’s famous line in the movie, “I’m Your Huckleberry” stamped SOMEPLACE on his body. Summers visiting northern Idaho not only brought me face-to-face with several MINING towns of the West, but I also fell in love with that tiny little purple berry, the HUCKLEBERRY. We kids poked holes in two sides of a tin coffee can, attached STRINGS to hang them over our necks and traipsed through the HILLS surrounding the little town of Mullan in SEARCH of that elusive little berry. It took a LONG time to FILL a coffee can with HUCKLEBERRIES. Once filled, we headed back to my Grandpa’s HOUSE and waited as my AUNT Bev turned them into pies. At the end of the day GRAMPS brought a brick of VANILLA ice cream home from the soda fountain in his Mullan Rexall Drug Store and we had a FEAST. 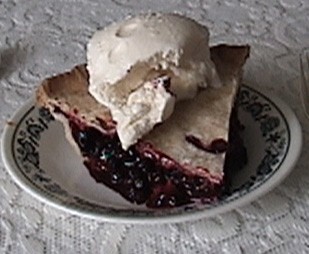 To this day, there is no better tasting berry pie to me…..than HUCKLEBERRY. Many people think huckleberries are related to blueberries, but they are not. 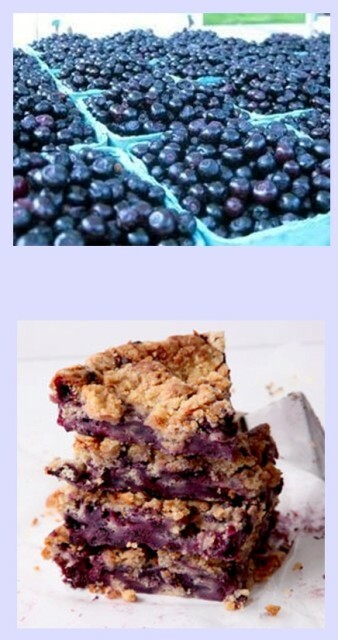 They are small, deep purple, more tart in flavor and require more sugar to sweeten the pie than blueberries. In a large bowl, stir together the huckleberries and enough sugar to make the berries taste sweet with a tart edge. Taste as you add sugar to see how much sugar is required. Add the flour, lemon juice & nutmeg. Spoon the fruit into the uncooked pie shell and dot with butter. Add the top pie crust. 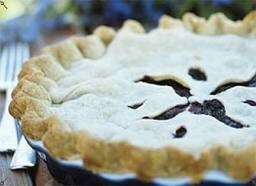 Slit the top crust to allow for bubbling of the filling, or use a lattice-style crust. Bake the pie for 15 min., then reduce the heat to 375ºF. and continue baking for an additional 18 to 20 mins. Sift flour and salt into bowl. Cut shortening into 4 or 5 pieces and drop into stand mixer bowl. Using the flat beater, turn to stir speed and cut shortening into flour until particles are size of small peas, about 30 seconds. Add ice-cold water one tablespoon at a time until all particles are moistened. Use only enough water to make the pastry form a ball — depending on a variety of factors, you may not need to use the full amount. Watch dough closely as over mixing will result in a tough crust. Form dough into two equal size disks and chill in refrigerator 15 minutes. Roll to 1/8″ thickness between pieces of waxed paper until you have a circle slightly larger than the circumference of your pie plate. Fold pastry into quarters; ease into pie plate and unfold, pressing firmly against bottom and side. Trim and crimp edges. Fill and bake as desired. For a pastry shell, prick sides and bottom thoroughly with a fork and bake at 450 degrees for 8-10 minutes until light brown. Cool completely before filling. 1. Heat oven to 350˚. Butter and flour a 9″ springform cake pan; set aside. Make the topping: In a medium bowl, stir together 4 tbsp. butter, 6 tbsp. 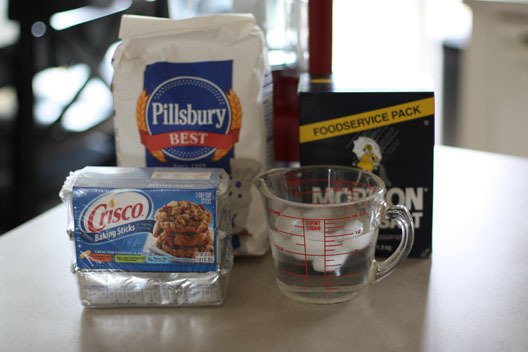 flour, 1/2 cup sugar, 1/4 tsp. salt, cinnamon, and nutmeg; set topping aside. 2. In a medium bowl, whisk together the remaining flour and salt, along with baking powder; set flour mixture aside. In a large bowl, beat the remaining butter and sugar with a handheld mixer on medium speed until pale and fluffy, about 1 minute. Add vanilla and egg and beat until smooth. Add the flour mixture and milk and mix for 1 minute. 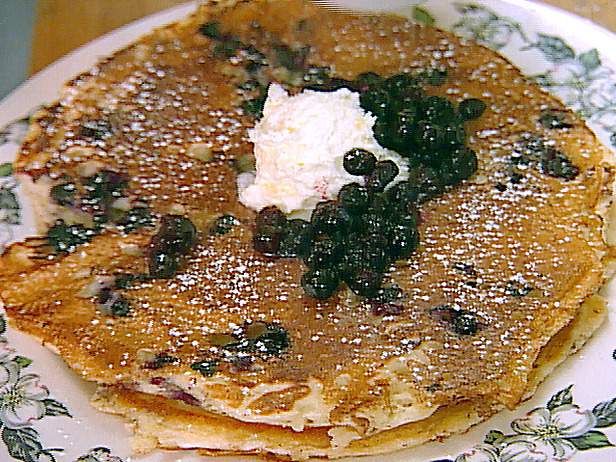 Add the huckleberries and, using a rubber spatula, fold them into the batter. Pour batter into prepared pan and sprinkle with reserved topping. Bake until a toothpick inserted into center of cake comes out clean, about 1 1/2 hours. Let cool before serving. It makes sense that SOMETHING about this little berry catapulted it into a MOVIE script. Uh huh,…. I’m your HUCKLEBERRY! 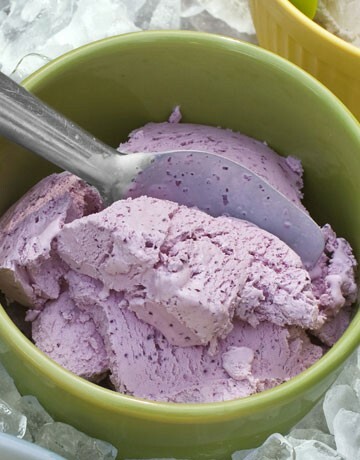 *Huckleberries are native to the Northwest. Though efforts have been made to grow them on farms, as of yet, the success rate is not great. They grow naturally in wild patches on northwest mountainsides….so apropos. 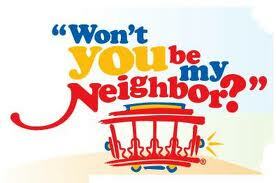 *You are invited to follow My Big Red Shoe….. sharing northwest flavors, places, and more. SOMETIMES unexpected combinations transform into fantastic pairings. delivers TASTE, texture and punch. To make the salad, preheat the oven to 400ÅãF. Lightly toss the beets in the olive oil and salt to taste and place on a baking sheet. Cover with foil and bake for 1 hour, or until tender. Let cool and then peel and cut the beets into a large dice. 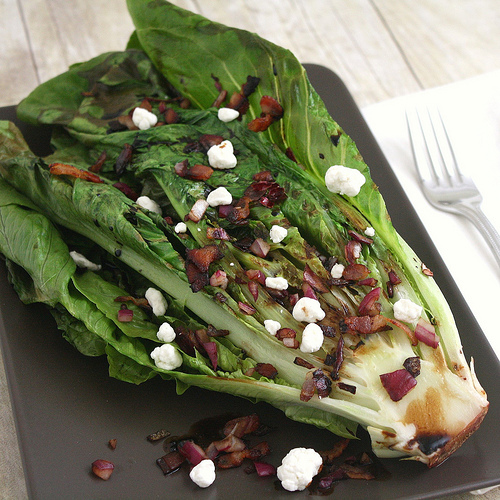 including grilled romaine, takes it OVER the top. …….a new and tastier version of spinach salad with bacon vinaigrette. 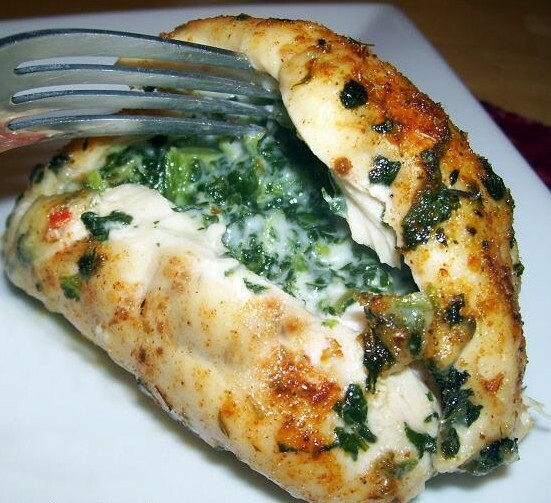 This recipe from Tracey’s culinary Adventures is easy (my favorite requirement) and delicious. Preheat grill to medium-high (you could also use an indoor grill pan). In a large skillet set over medium heat, cook the bacon until crispy. Transfer to a paper towel-lined plate with a slotted spoon. Pour off all but 1 tablespoon of the fat. Add the onion and cook until softened, stirring occasionally. Remove to the plate along with the bacon. Add the balsamic vinegar and 1 tablespoon of the olive oil to the skillet and cook to reduce slightly, about 2-3 minutes. Remove the pan from the heat. Brush the lettuce with the remaining 2 tablespoons of olive oil. Grill cut-side down for about 2 minutes, or until grill marks are visible or the lettuce is slightly charred. 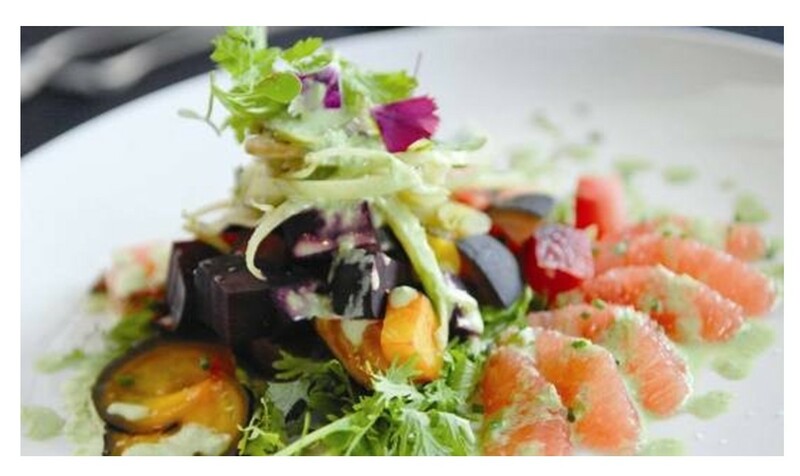 Place the lettuce cut-side up on a large plate (or platter). Drizzle with the reduced balsamic vinegar then sprinkle with the cheese, bacon and onion, and garnish with freshly cracked black pepper. I LOVE this spicy twist on a Florentine dish. As with everything else, FLAVOR and bold taste are the ingredient CRITERION. 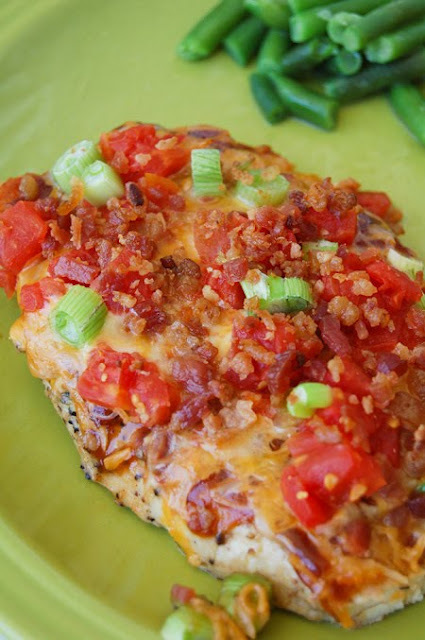 Pepper jack cheese easily made the ingredient cut and the homemade cajun mix provides the heat filled rub for this entree. Just HAD to SHARE this from All Things Simple. Included is an amazing Butter Pecan Sweet Potato recipe. This recipe is one of those semi-homemade DINNERS where the ingredient list is short, the flavor is TALL and the prep time is quick! Love it. I would top it with some FRESHLY chopped tomatoes and a tad bit of chopped cilantro. 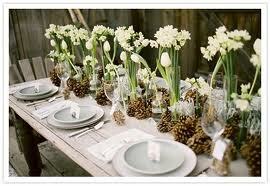 Decor: Paperwhites on the Dining Table…. I have a SECRET obsession with Paper Whites. 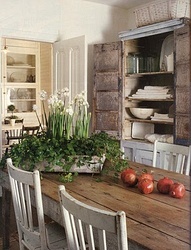 Tall crispy green stalks and pop-of-white COLOR are the lures of this little BULB. Anything would taste DELICIOUS while …gazing at the whites. 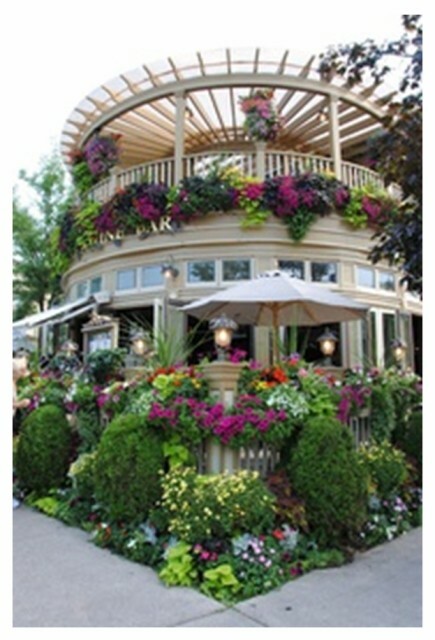 Buy them in BLOOM….or force them. 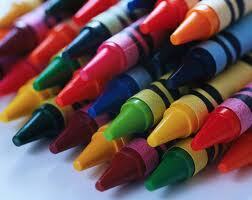 Select a container that is about 3 – 4 inches deep (8 – 10 cm) and that has no drainage holes. 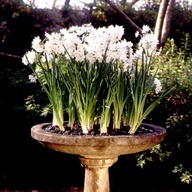 Although problems are rare with paper whites, one annoyance is their tendency to become top heavy and fall over. For a Quick Tip on how to solve that problem, read how to water your paper whites with alcohol to keep them from falling over. 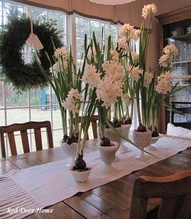 The NEXT time you are enjoying a martini….slip a sip to your PAPER WHITES.